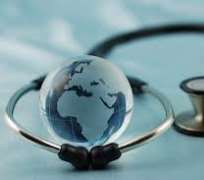 The Guild of Medical Directors of Private Hospitals of Nigeria on Saturday attributed the high rate of morbidity and mortality in the rural areas to ignorance. The National President of the Guild, Dr. Tony Phillips, said this in an interview with the News Agency of Nigeria (NAN) on the sideline of a medical outreach at the Baruwa community in Kuje Area Council of the Federal Capital Territory. The exercise was organised by the Guild of Medical Director's Wives of Nigeria. NAN reports that the outreach is a preamble to the 21st National Annual General Meeting and Scientific Conference of the guild scheduled to hold from October 31 to November 2 in Abuja. Phillips said the guild observed that health care was focused more in the urban areas than in the rural areas, adding that many of these communities did not have health care centres. 'As you can see, a big community like this has no health care centre; it is as a result of this that we decided to reach out to the rural area because that is where the problem lies. 'So, if we can take care of the rural areas, the incidence of deaths among the children and women will reduce. 'Instead of people having to rush to the urban areas for medical attention, they can be treated right in their communities, thereby reducing the pressure at the centre,' he told NAN. Phillips said the purpose of reaching out to communities in the FCT was to have insight into the realities of the state of their heath care and make recommendations to the relevant authorities.